S&K Mathews have been established for over 25 years and are a local family run firm based in Wrexham providing skip hire for Wrexham and surrounding areas. S&K Mathews can provide all your waste disposal requirements offering skips ranging from 2 to 14 cubic yards. 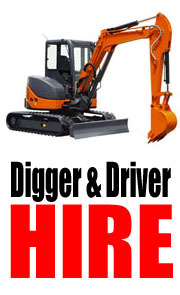 Our services range from skip hire, wagon grab services through to digger and dumpers with drivers saving both time and money in any job requirement. Our friendly reputation has been built up over the years and we pride ourselves on reliability and an excellent service. We offer a full range of skips and associated services. Our vehicles are maintained to the highest standards and we pride ourselves on our latest machinery for the job. Any of your requirements can be dealt with over a phone call or email and payments can be taken with a Credit/Debit card booking or Cash on Delivery.